Grab your hook, some linen, and your stash of wool and get ready for some fun! This collection of hooking projects is sure to delight. With a nod to the seasons of the year, in these pages are patterns for rugs, mats, wall hangings, and more. Hook these projects as they are presented here or add your own twists and embellishments. 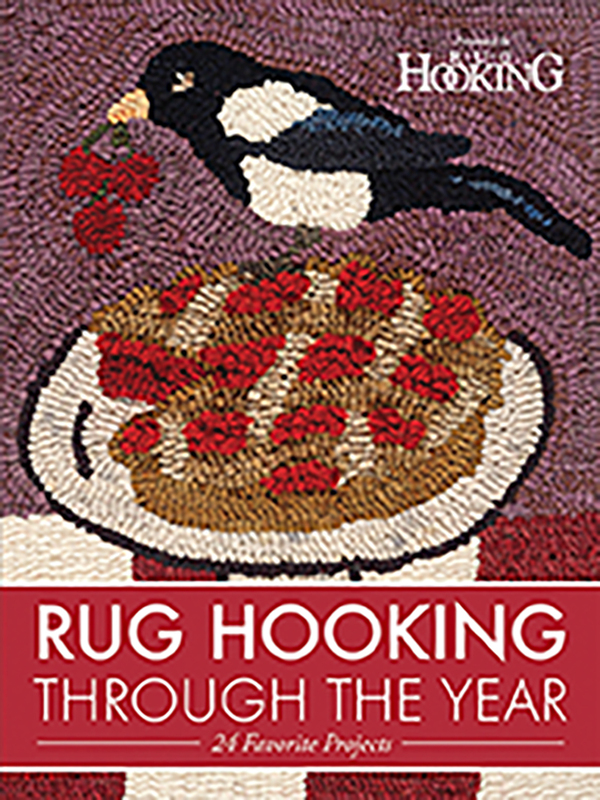 A strawberry basket rug, two very different owl wall hangings, a wisteria plum, and also included are some rug hookers’ favourites; a sheep, a snowman, and roosters. Use the patterns in this book and the advice from the expert designers to create two dozen charming hooked pieces. Have fun as you hook your way through the year. by Joan Moshimer/W. Cushing & Co.